I recently received an email thanking me and my website for being helpful to a librarian and her students for railway-related projects. The email asked if I would add a history section to my website and include a source a student used in their project. I thought it was a fantastic idea. Besides having many historically-significant photos from my town, I also have things from NYC and museums I have visited. So, I have added a few new pages to my website. There's a link to an all-new History page in Resources, and from there you can visit my Northampton, MA page. This page talks about the history of the many railroads have have existed in Northampton and Hadley, Mass. It is accompanied by photos I've taken and maps the city government has online. There are more photos I will add eventually to that part. Along with the new History area I've reorganized my personal bio information in a new About page (top menu). 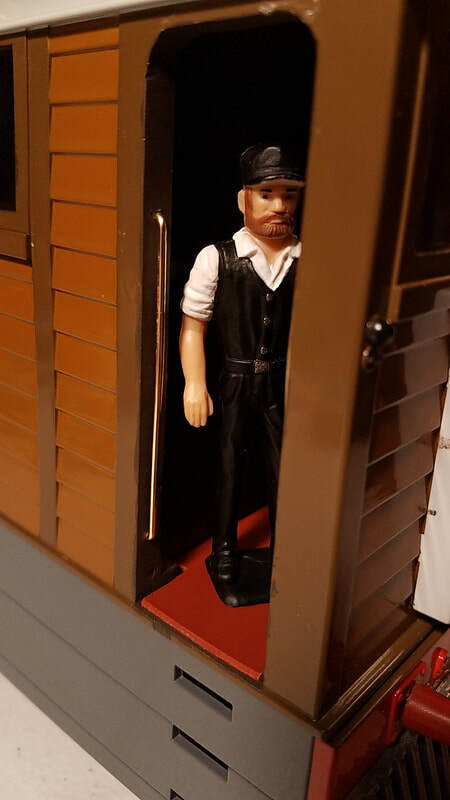 I can be contacted on this page much more easily and I've included a bit more about model trains in my life. 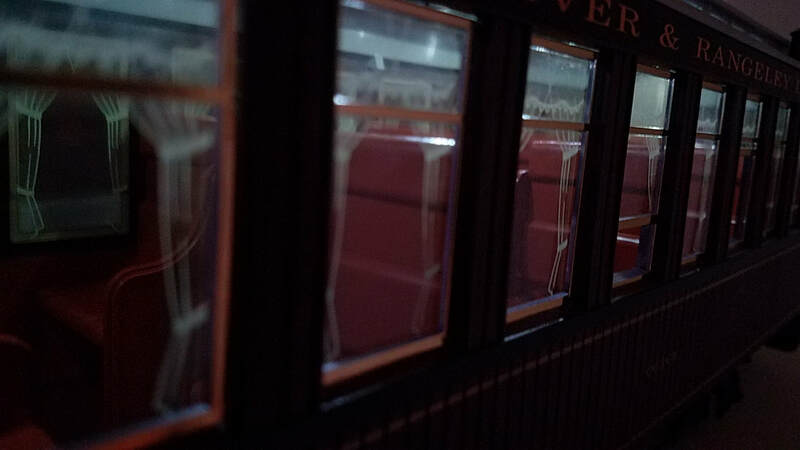 I was finally able to get the coaches' interior lighting finished this past week. 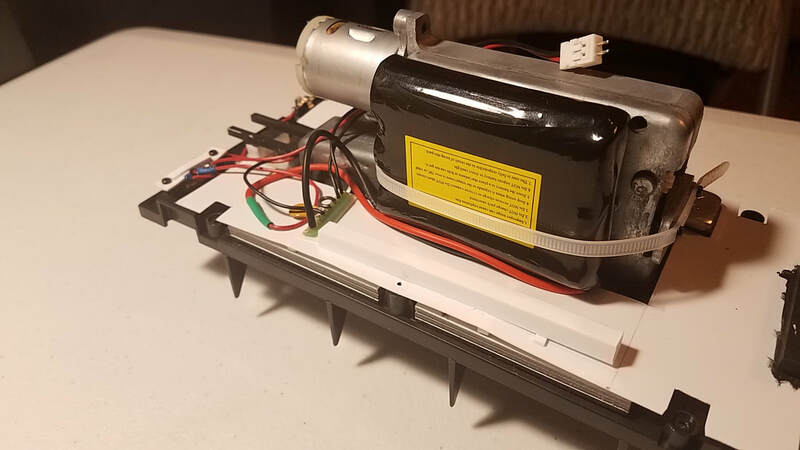 I used an old string of micro LEDs with a 3V button-cell battery. 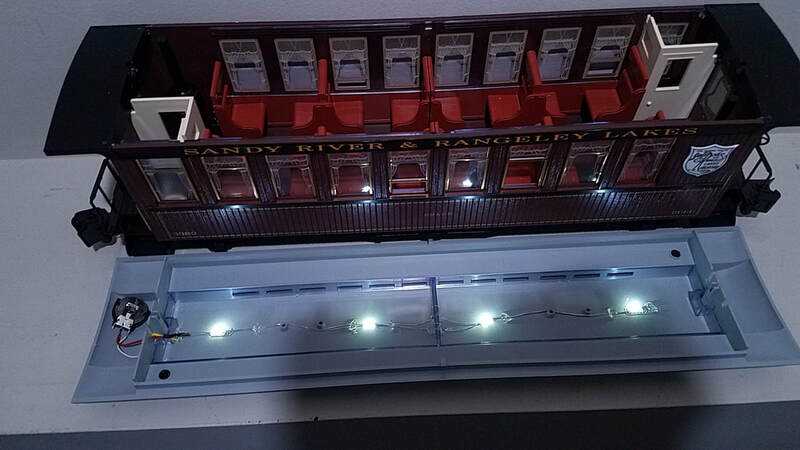 I was given these lights from someone else, so I don't have the original packaging, but it seems each LED regulates itself because 4 LEDs is just as bright as the whole string. 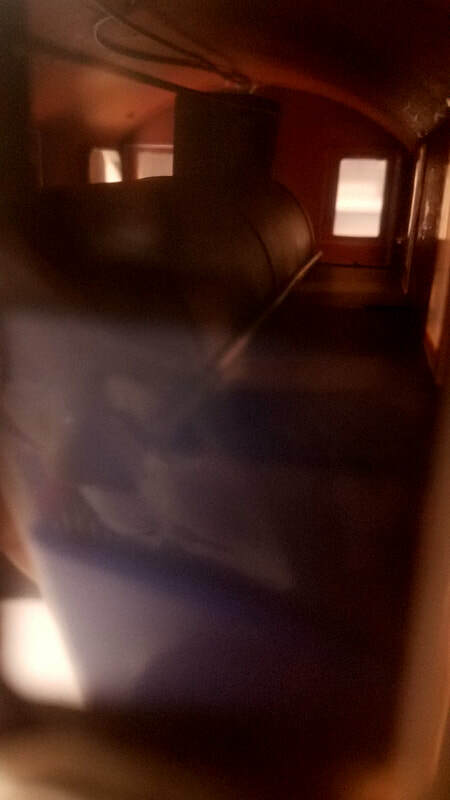 ​Here's a few shots of them. 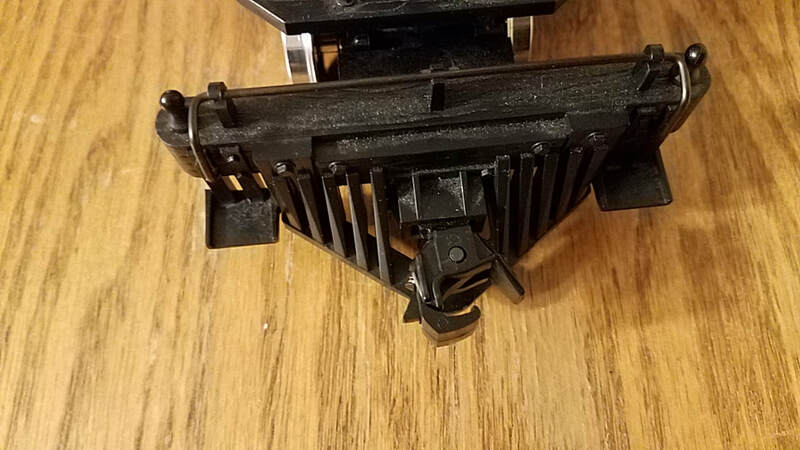 I have finally begun to convert my stock couplers to Kadee knuckle couplers. These things aren't cheap, so I'm doing just a few at a time. 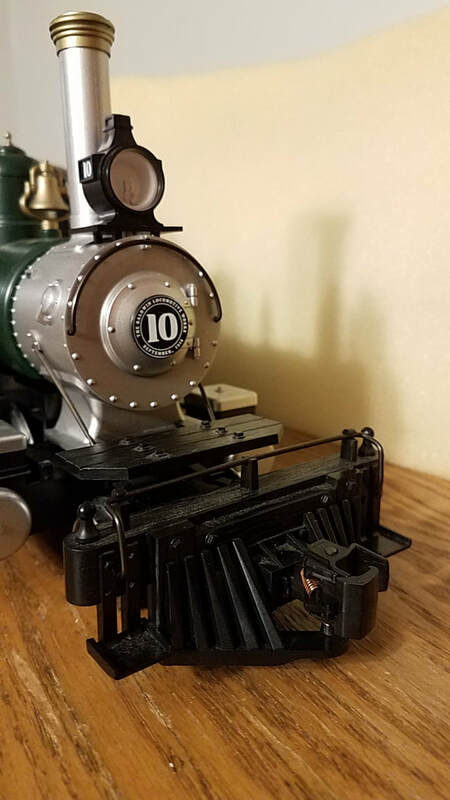 Fir this first go I bought the Kadee coupler gauge. This tool helps align the couplers to the proper height. 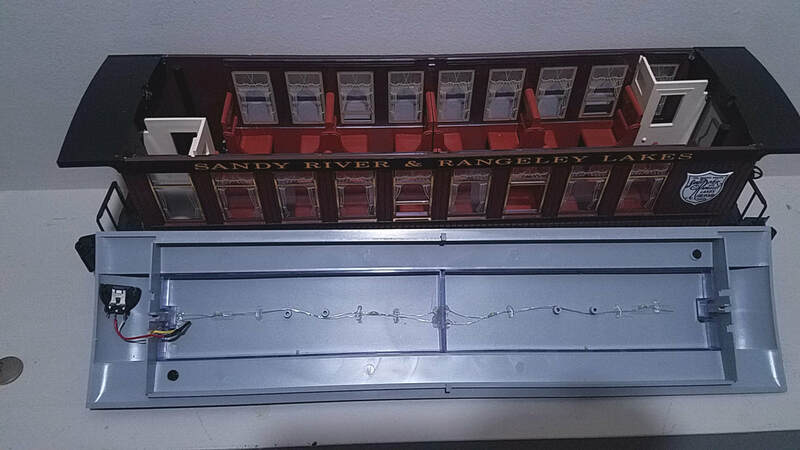 It also has measurements for track gauge, wheel gauge, proper scale car height gauge, and uncoupler mounting jig. 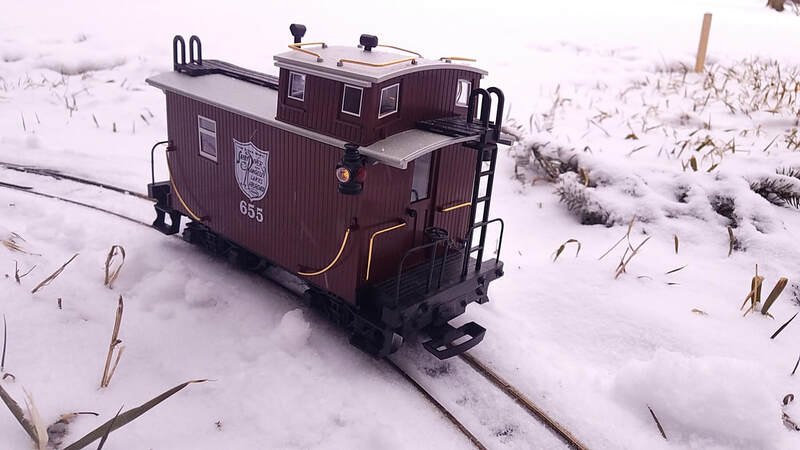 This is the g-scale gauge (#880). It uses the new E-type coupler Kadee has more recently come out with. This coupler is nice because the spring on the knuckle is hidden inside, making the piece look more prototypical. I also bought one #831 set of couplers. These are large off-set couplers for truck mounting. I put them on my SRRL caboose. 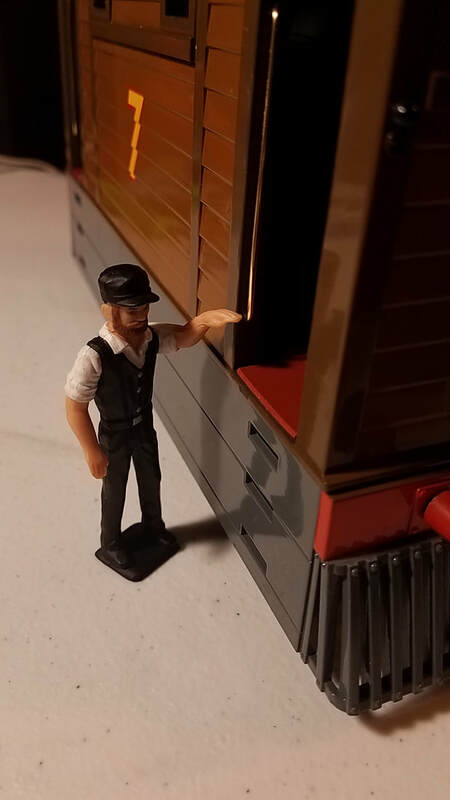 You can see that I aquired a few older Kadees from eBay purchases in the below photo. The original owner had painted the couplers to look rusty. They also cut the trip pins. I've done my best to refurbish the internal workings of these units, but not all of them have worked well. I may have to just replace them. The last thing I bought was a conversion kit for my Forney. 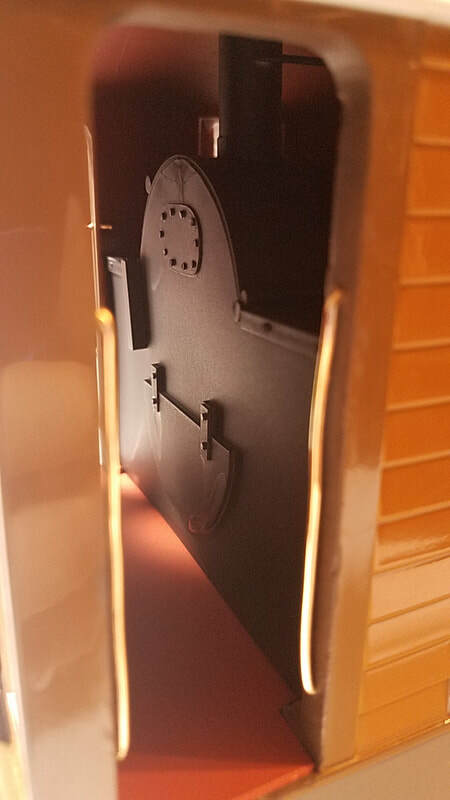 It included a large off-set truck mount knuckle for the rear of the locmotive and a slight off-set knuckle for the front to sit inside the cavity provided by LGB. 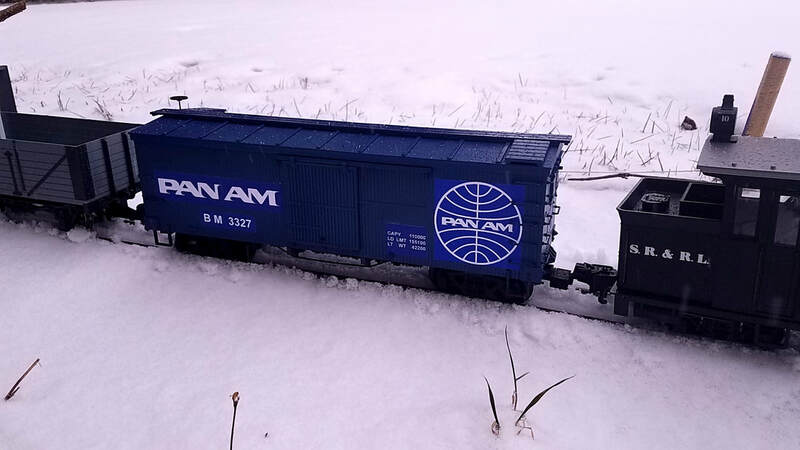 Originally, when I got this loco, it did not have a front coupler of any kind. It is very nice to have one now. 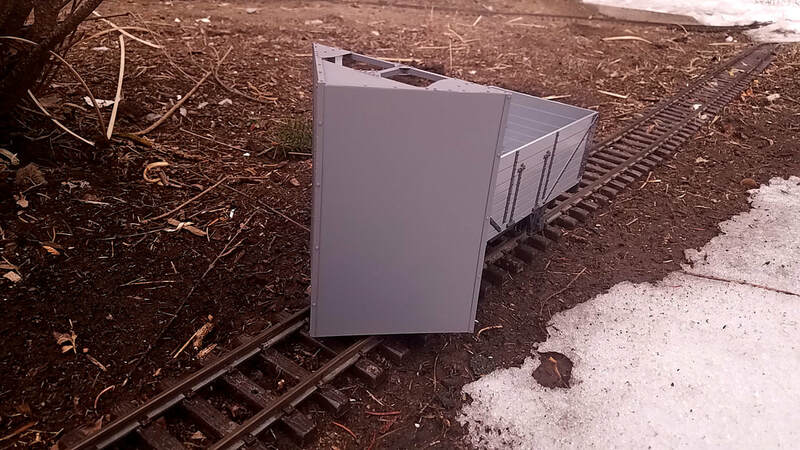 ​I may, at some point, replace the rear coupler with a body-mount. I'll have to see how/if it would work. But, in any case, here's another. 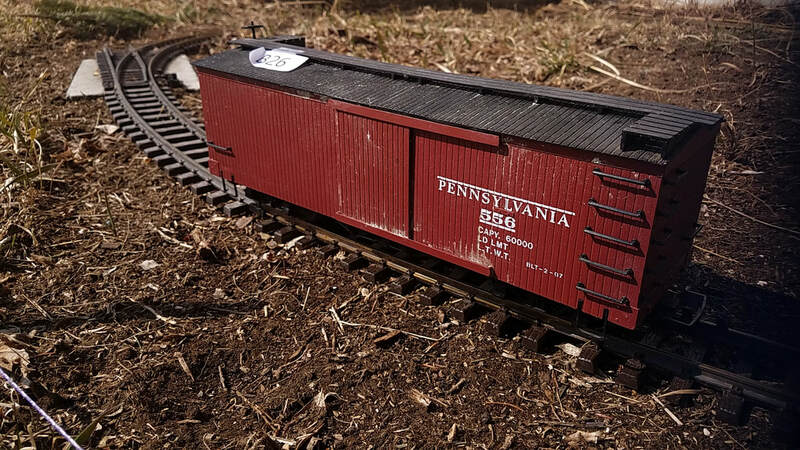 It's a Bachmann car lettered #556 for Pennsylvania Railroad. It needs some serious cleaning. So, I'm taking it apart and cleaning it with a toothbrush and water. 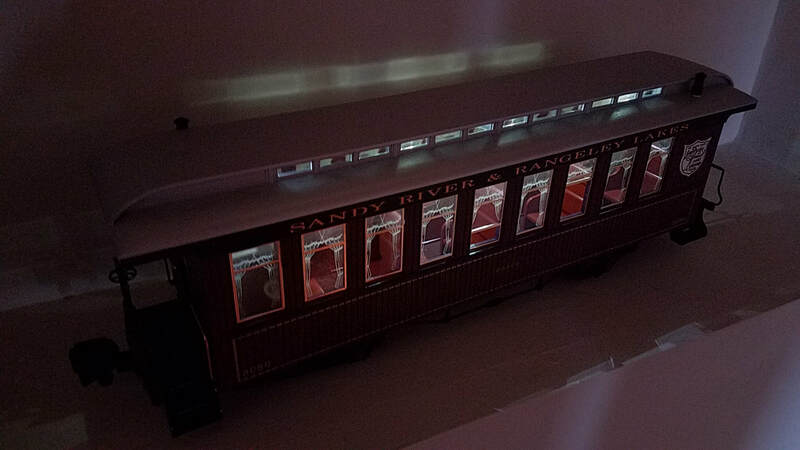 Then the lettering will be removed so I can re-letter it for a railroad in New England. 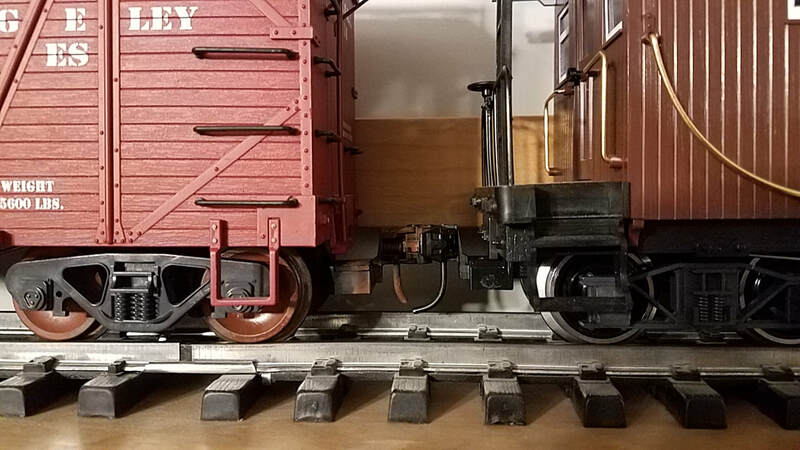 I'm thinking the two Bachmann cars I now have will be for the same railroad/ company. I will also be replacing the Hook & Loop couplers with Kadee knuckles and the plastic wheels with metal. Thank you so much! I truly appreciate your input. This will help me to better adjust my site for those of you viewing it. It's snowing today in Massachusetts, so I hurried up and pulled out some stock. Here's a few of the photos I took! 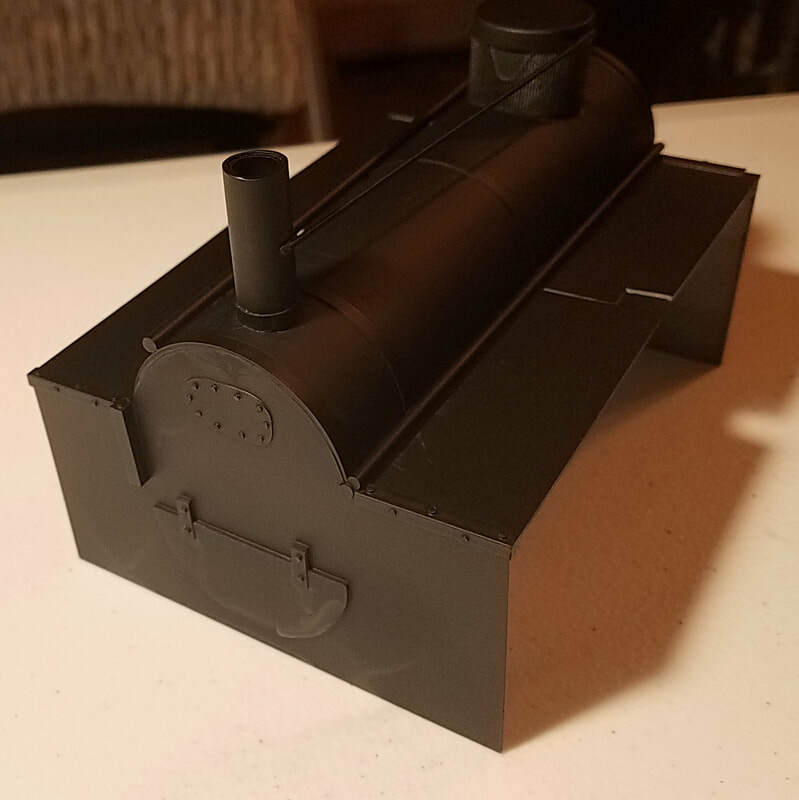 Yesterday I managed to get all the parts of the locomotive shell in place. 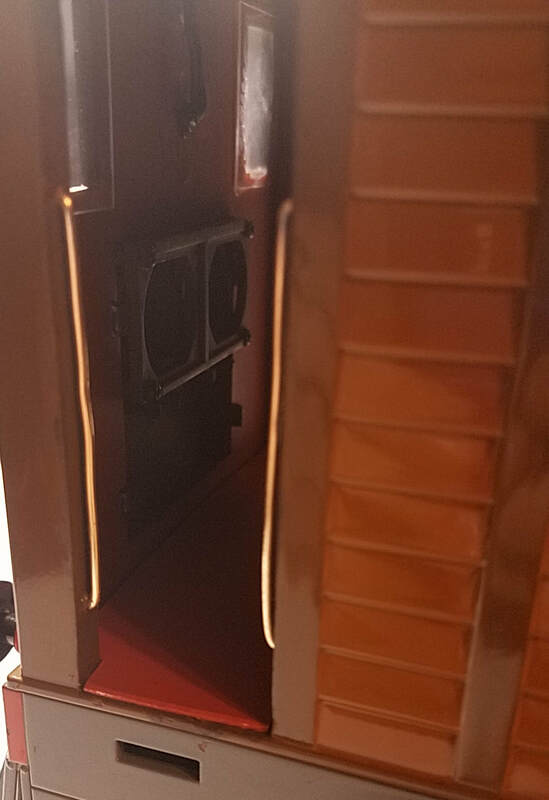 First I painted the door trims and window frames. 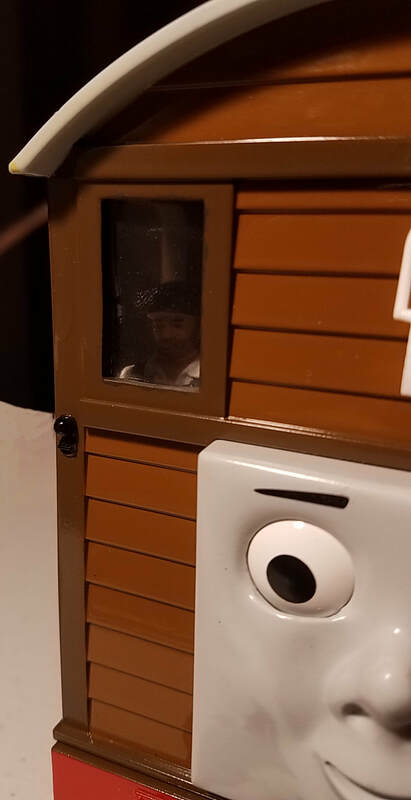 Next I installed the window glazings, lights, lanterns, and handrails. 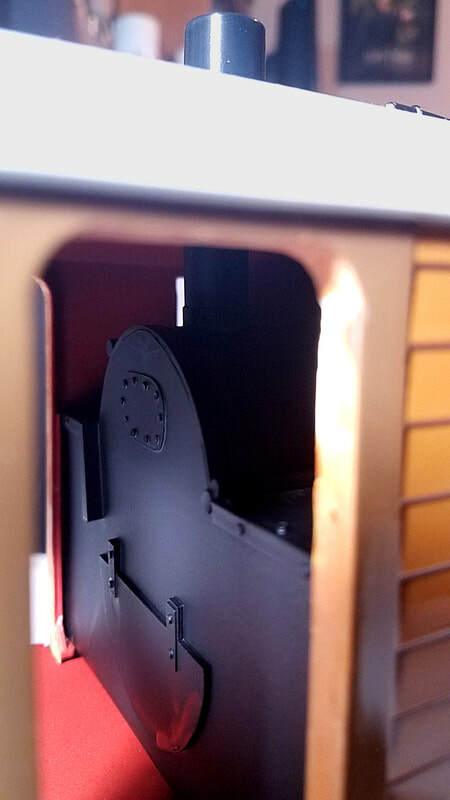 Then fitting the cab floors and boiler in place (the most tricky part!). Here's a bunch of photos of the finished work. Well, almost. I need to clean the windows to get Toby show-ready. 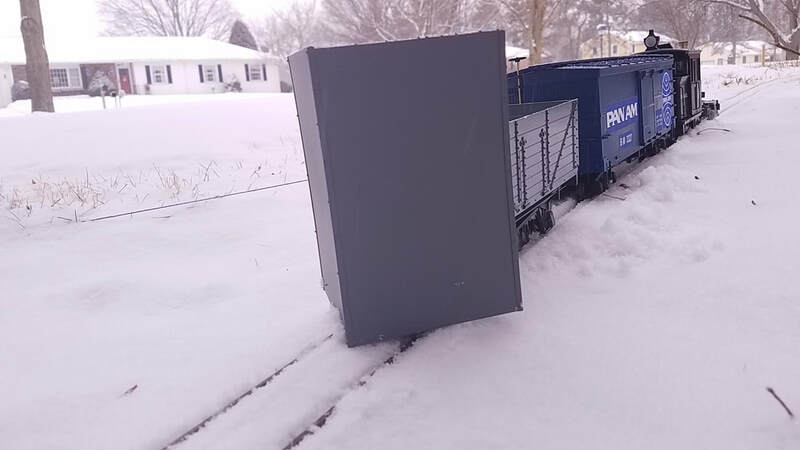 Once my Rx is delivered I can put that in place and run my loco. I also want to add a couple more details to the cabs such as brakes, hand wheels, and gauges. Click on a photo to view this gallery in full-screen. 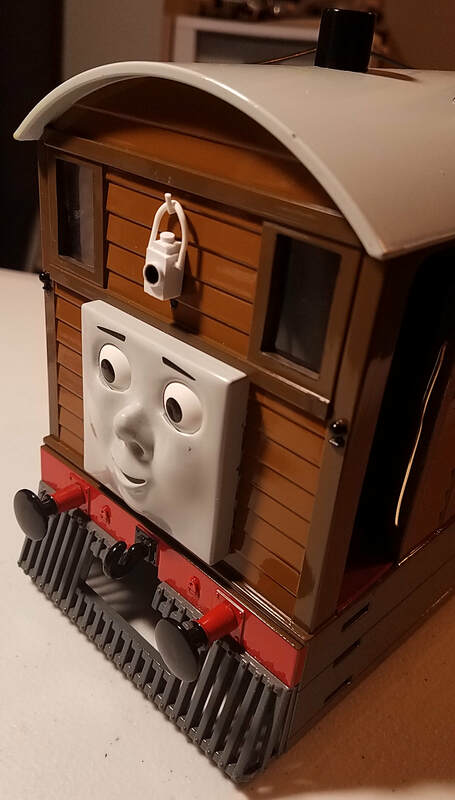 I managed to get Toby's boiler painted today an it looks just as good as I had hoped! Note in the second photo the chimneys line up almost perfectly (although the interior part looks smaller for some reason). 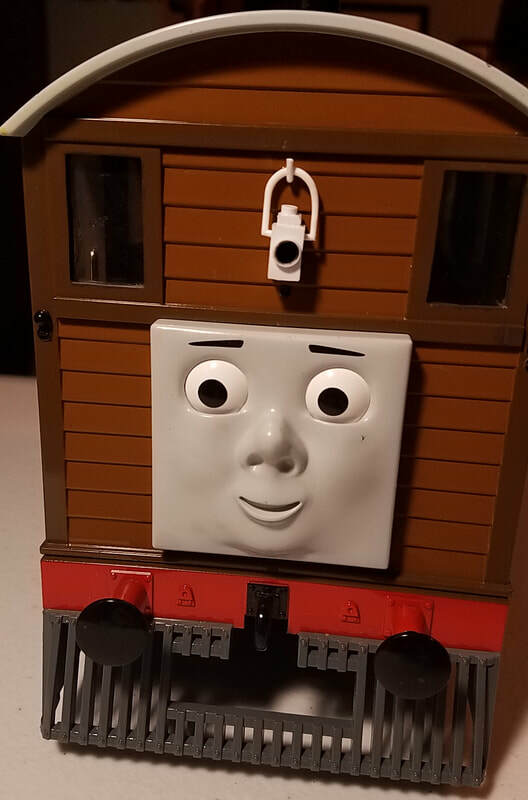 More progress on Toby today! I made a quick modification to the strap I am using to keep the battery in place. 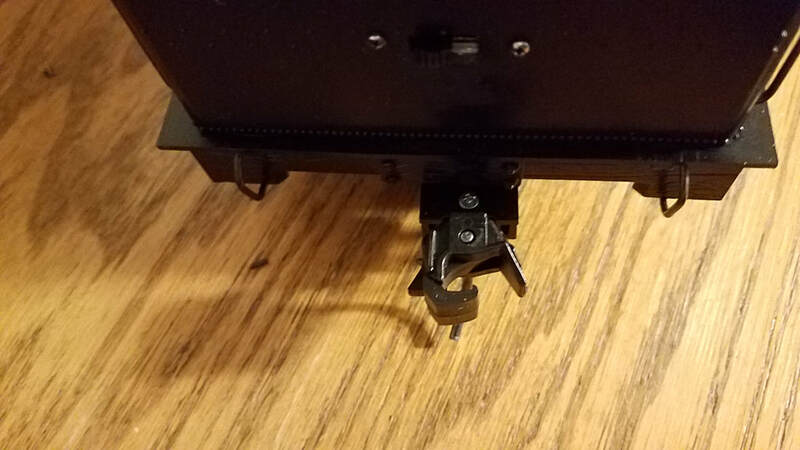 I realized that it would be better to be able to remove it when needed, so I took a zip tie and drilled a few screw holes in it. This actually works out better because it holds the battery in place more effectively. 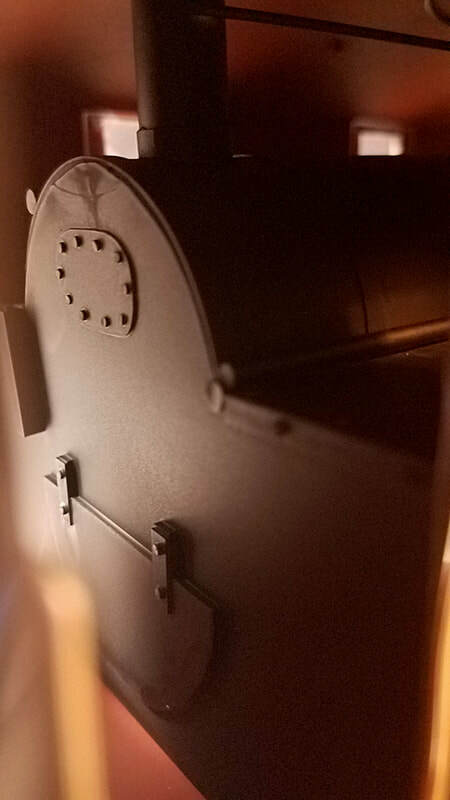 I also finally finished the boiler details which include a dome (I assume it's meant to be a steam dome, but I'm not sure), plus rivets on the front & rear corners. The dome is a cap off a food coloring container! 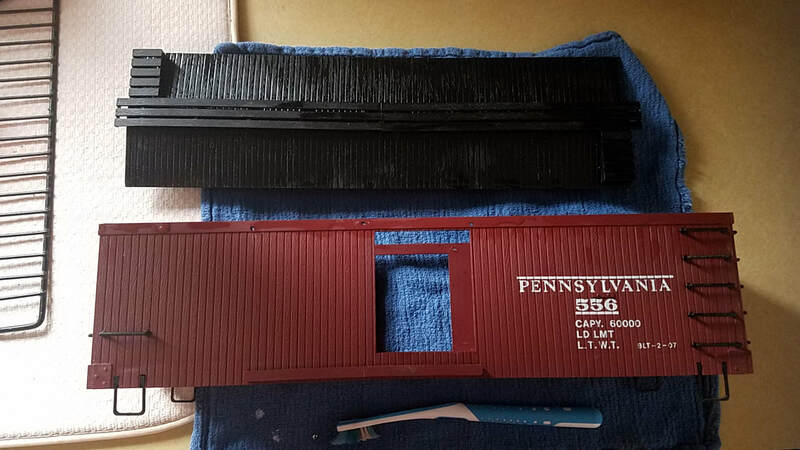 Finally, I finished cutting open and sanding the windows and doors in the locomotive shell. Next up is painting the frames then putting it all together. I've painted the snowplow's blade to match the car it's attached to. When I can, I'll add a headlamp and decals eventually.